Looking for a new look? 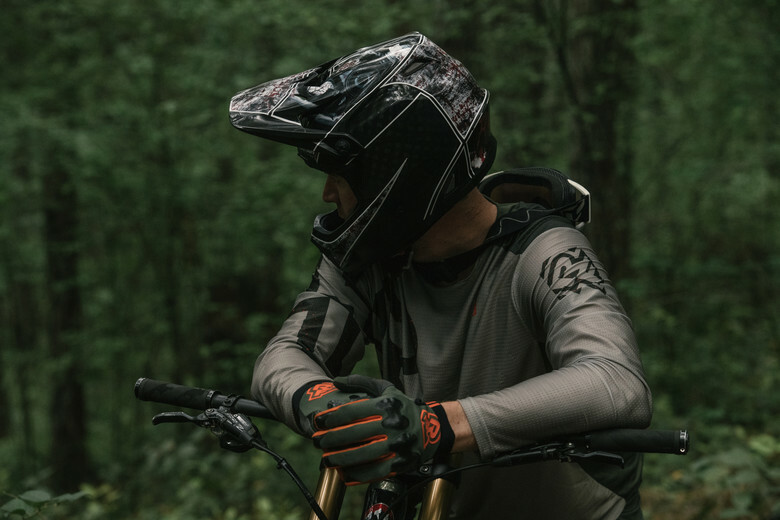 The 2019 Race Face apparel catalog has you covered! 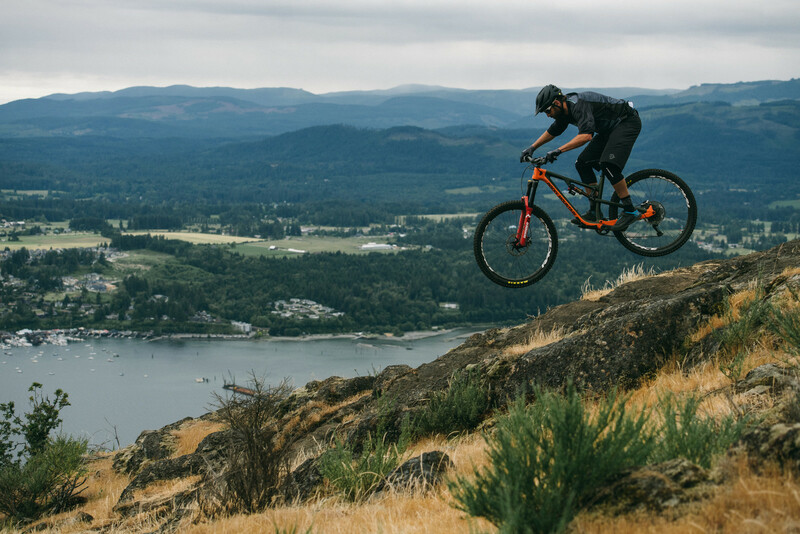 For this year's Soft Good launch, we put RF riders Wade Simmons, Dylan Forbes and Hailey Elise, along with photographer Margus Riga and videographer Connor Macleod, on a ferry to Vancouver Island. The intent was to soak up some Island Vibes and showcase our 2019 collection with some amazing riding in Sooke, Tzouhalem, and Mt. Prevost. The Race Face 2019 Soft Goods collection offers both male and female riders options to cover all styles. The collection is based around our key design principles: build with modern, cutting-edge fabrics with rider-focused features and patterning for advanced technical performance, combined with tasteful graphics, and colourway choices that range from subtle to full blast! The gravity-focused Ruxton kit has been fully redesigned for 2019, offering clean design lines, tech fabric choices and fresh graphics. The jerseys features fully sublimated graphics, a relaxed fit, and a low profile collar. The silky feeling warp knit fabric is silky smooth, quick-drying, and hard wearing. The shorts and pants feature the same patterning as previous years but with a new fabric that ups comfort and mobility. The focus remains on rugged performance, with laser perforated panels for breathability and durability where it counts, race-ready inseam lengths and plenty of space to accommodate Race Face knee guards underneath. The all new Ruxton glove features durable contoured palms, knuckle protection and a durable velcro wrist closure, not to mention conductive fingers for those lift-line selfies! Indy, our long-running, all-round trail kit features a lightweight short sleeve jersey with sublimated graphics, subtle perforations in the body and sleeve fabric, plus mesh side panels for a comfortable feel on those long days in the saddle. The Indy shorts continue with our 2018 design but with improved fit and better performance thanks to a longer inseam. Indy gloves feature fade-free sublimated graphics and a contoured Amara single-piece palm and finger to give you a lightweight, durable grip. 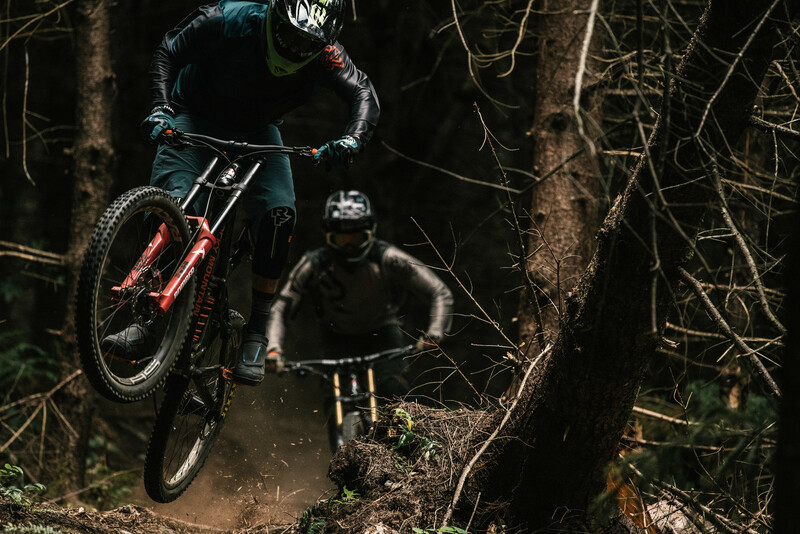 A chill, all-around trail kit, the Trigger features fresh graphics on the breathable, quick-dry tech tee-style jersey plus new colourways offerings like Rust and Loam in the 4-way stretch, lightweight shorts. The Nano jacket is the ultimate pack-light jacket. Lightweight, water- and wind-resistant, and packs into its own pocket for portability. This 3/4 zip, pullover-style jacket is available in a men's and women's version with a left chest storage pocket, perforated underarm panels for air flow, articulated sleeve patterning with extended cuffs, and a helmet friendly hood! On the women's side, the Khyber kit features our burliest women’s short for aggressive, gravity-fed riding, where extra abrasion resistance and durability is preferred. Asymmetrical exposed zips and snap closure pocket flaps add style. Inseam is 36 cm (below knee) with hem openings large enough to accommodate Race Face knee pads. The Khyber jersey is a fully sublimated, 3/4 sleeve gravity-focused jersey. The silky feeling warp knit fabric is comfortable next-to-skin, quick-drying, and hard wearing. The Khyber gloves feature fade-free sublimated graphics and a contoured Amara single-piece palm and fingers for a lightweight, durable fit. The Charlie kit works for all occasions - from rowdy descents to all-day trail rides. The Charlie shorts feature a tough heathered stretch woven fabric with DWR treatment, a wide lycra waistband designed to accommodate all body shapes, and comes in 4 vibrant colour options. The lightweight and breathable short sleeve tech tee style of the Charlie jersey matches perfectly with the shorts with 4 colour options, mitered V-neck, sublimated print and soft, quick-dry fabric. Our newest addition to the women's line is the Maya jersey - a unique piece in the RF collection. The jersey is perforated throughout to be super breathable, and features flatlock stitching on armholes, fade-free sublimated graphics and slight drop back patterning. It's perfect for hot weather riding and a fun way to show off your most colourful sports bras! Complementing the RF men's and women's SG lines is our full line of protective gear, an ever-evolving selection of off-the-bike casuals and a cool selection of RF-related accessories. 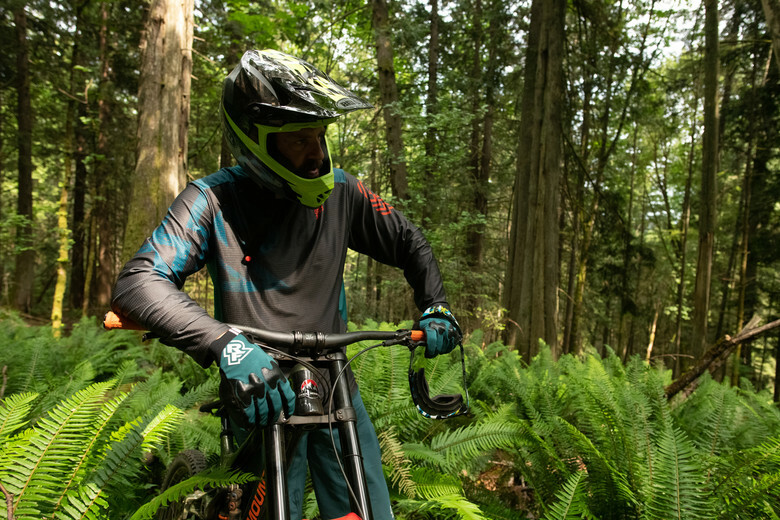 We are stoked on the complete range of functionality and style that our Soft Goods collection offers to riders - time to kit up and hit the trails! The 2019 Race Face Soft Goods Collection is available now through your local RF dealers and distributors, as well as our direct B2C channel (US/Canada only) at www.shoprfe.com. As a Vancouver-based cycling brand with over 25 years of experience in the bike industry and in cycling communities across the world – from encouraging and sponsoring athletes and events to putting on trail building days – Race Face believes in a rider-first mentality. We design, manufacture, and test in our own backyard, the North Shore.